President Barack Obama has created the first underwater national monument off the US east coast, protecting a vast ecosystem of canyons and extinct volcanoes. It is home to thousands of rare species, but is also a source of controversy. Beneath the cold waters of the Atlantic Ocean, hundreds of miles off America's east coast, lies a hidden world of canyons, mountains and extinct volcanoes. On 15 September, US President Barack Obama designated the area as the Northeast Canyons and Seamounts Marine National Monument - placing it in the same category as the Statue of Liberty and Yellowstone National Park. The 4,913 square mile (12,725 square kilometre) area, one of the richest deposits of life in the oceanic world, is now protected from fishing and mining. Three of the Marine National Monument's canyons are deeper than the Grand Canyon, and its seamounts are thousands of feet high. The cold and the pressure keep the pace of life slow. "Animals can live for many hundred, even several thousand years," says Dr Lance Morgan, president of the Marine Conservation Institute. One species of octopus has been known to brood its eggs for four years. 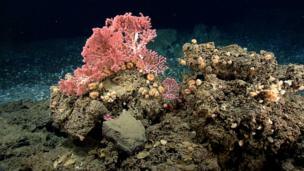 Deep-sea coral formations, of which there are tens of thousands, can live for centuries. 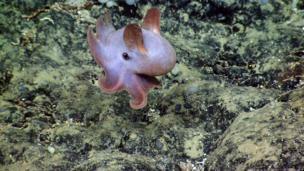 This dumbo octopus, photographed by a robotic submarine in 2014, is one many rare creatures that dwells in the monument's canyons. They spend most of their lives hunting small fish and crustaceans, hovering above rocky terrain by flapping their ear-like fins. Octopuses have neurons in their limbs, which allow them to "think" and process complex information with their tentacles. Scientists speculate there are still new species to be discovered in the canyon depths. 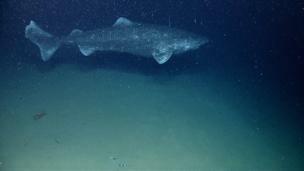 A Greenland shark was spotted by a submarine in the Atlantic canyons in 2013. This remarkable predator can live to be over 400 years old. Specimens found in the Arctic were born during the reign of James I in England, around the same time Jamestown - the first permanent European settlement on the US east coast - was established in Virginia. 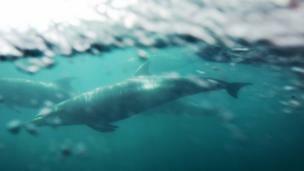 As well as deep-sea dwelling creatures, the newly protected mountains and canyons are hunting grounds for tunas, sharks, seabirds, dolphins, and endangered whales, like the rare North Atlantic right whale. Scientists hope all these animals, and the fish and krill they feed on, will grow in abundance with the help of the refuge. 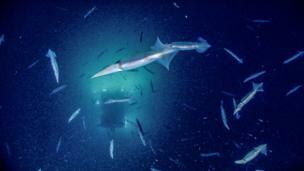 A great deal of the research carried out in the Atlantic canyons was done by the Okeanos Explorer. In 2012, 2013 and 2014 the ship spent weeks at sea, occasionally in rough conditions, carrying out deep dives and scientific surveys. This work paved the way for the creation of the monument. "Part of my job is to monitor the levels of gelatinous animals," says Mike Ford, a biological oceanographer who has studied the monument's wildlife. "History and experience have told us that when these animals get to a high enough density, they can shift the ecosystem." 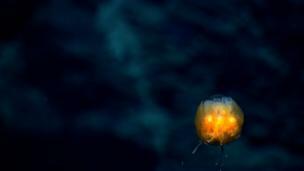 Pictured here is a sea dandelion, a luminous relative of the jellyfish. The body of the strange organism is actually made up of a series of smaller creatures called zooids. Automated submarines, known as remotely operated vehicles (ROVs), are essential tools for exploring the canyon depths. Operating at up to 1,000m (3,280ft) below sea level, the ROVs collect video images and samples from depths human beings cannot travel on their own. Here, scientists Scott France and Susan Schnur are glued to their screens during a 2014 expedition onboard the Explorer. 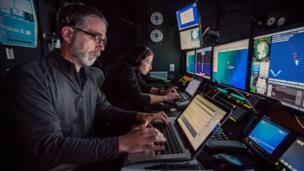 During deep dives, they draw curtains around their control room door and darken the lights to aid their concentration. 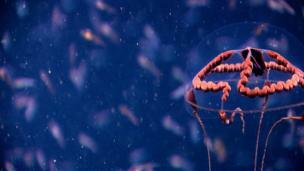 Seas off the coast of the US are warming, shifting ecosystems, threatening fragile life forms. According to the National Oceanic and Atmospheric Administration (NOAA), waters off the coast of Maine are warming three times faster then the global average - for reasons scientists are still grappling with. 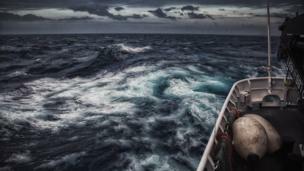 Codfish populations have crashed in recent years as result of this shift. It is hoped marine reserves, like the National Monument, will help to offset some of the negative impacts of these dramatic environmental changes. 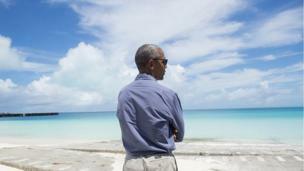 President Barack Obama has increased protected ocean areas twenty-fold since taking office in 2008. “Dangerous changes in our climate caused mainly by human activity; dead zones in our ocean caused mainly by pollution that we create here on land... all those things are happening now,” he said in a statement after designating the monument. Not everyone is pleased with the new national monument. 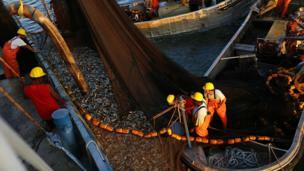 Commercial fishing and trawling will be halted in the area, which is a significant blow for local fishermen. "To lose access to the canyons is a big loss of opportunity," says Eric Reid, the general manager of a seafood processing plant on Rhode Island. "I'm 58 years old, and I've been in this industry for 47 years. We need the trawler ships to be mobile to catch their prey. When you can't go to certain areas, you lose opportunity." 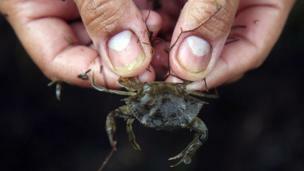 Crab fishermen are particularly upset about the Marine National Monument. "I am a firm believer in environmental action," says John Williams, who has been trapping crabs in the Atlantic canyons since the 1990s. "But this [sanctuary] will hurt us. It's a trophy for Obama and his legacy. A trophy at my expense, and at the expense of all crab fishermen in New England." Mr Obama has said crab fisherman can operate in the canyons for another seven years, but Mr Williams believes this is a gagging tactic, intended to smother their complaints. Supporters of the monument argue it will help other industries. Whale watching is an important source of business along the east coast of the US, contributing as much as $450m (£347m) a year to the local economy. Humpback whales, orcas and endangered sperm whales will all likely benefit as a result of the new reserve. 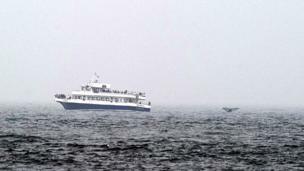 Essential sources of whale food - fish, squid and krill - gather in the area to breed.